Where Aidan is vibrant and lively and Ryan is succulent and seductive, the 2006 Finn bottling that completes this distinctive trio, is clearly the most flamboyant Pinot of the vintage, yet in the strong tradition of this bottling, it retains all the black-fruited complexity, finesse and singularity we have come to expect. A seamless combination of our most concentrated vineyard lots, the historical Occidental-Widdoes partnership is enlivened with a moderate yet influential addition of Calera selection from Sonoma Stage vineyard. This exposed, windy and naturally low-yielding site (an excellent RRV component since 2003) on distinctive volcanic soils produced its finest crop in 2006 and will be a designate bottling from 2007. 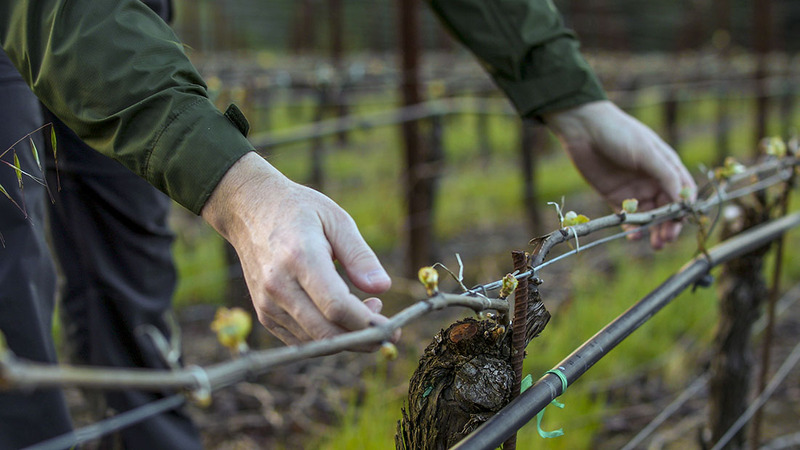 Producing wines that overflow with dark-fruited power, high acidity and an almost elemental coastal intensity, the vineyard has started to truly shine as vine maturity has progressed bringing greater uniformity to its hardworking vines. Most similar in style to our powerful 2003 Finn bottling – the product of an extremely low-yielding season and a wine still in its youth, this new release has the critical combination of grace and power without heaviness that will allow it to offer an increasingly dramatic pinot experience over the next decade. Deep red. Intensely floral nose combines vibrant red and darker wild berry aromas of gorgeous purity. Initially bright and energetic, the palate deepens and evolves to black raspberry and sweet plum complicated by truffle and meaty underbrush notes. The broad tannic backbone nicely balances the wine's lingering fruit succulence. Offers aging potential of 8 to 10 years. Serve at 60 degrees to allow the wine's full complexity to shine.